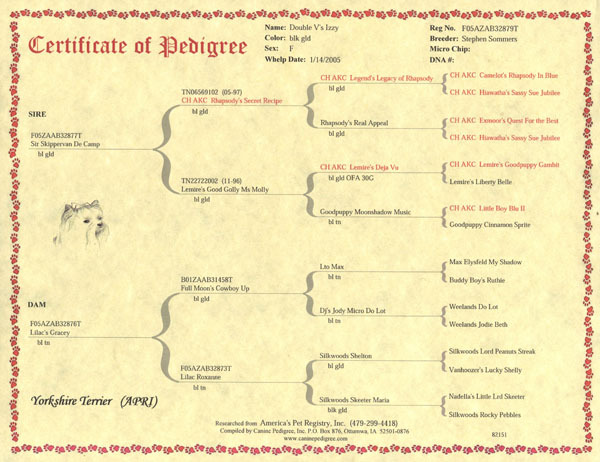 4 Generation Pedigree Researched from the registry your dog is registered with. Champions are printed in red. Color and DNA / OFA information are displayed on all but the last Generation.